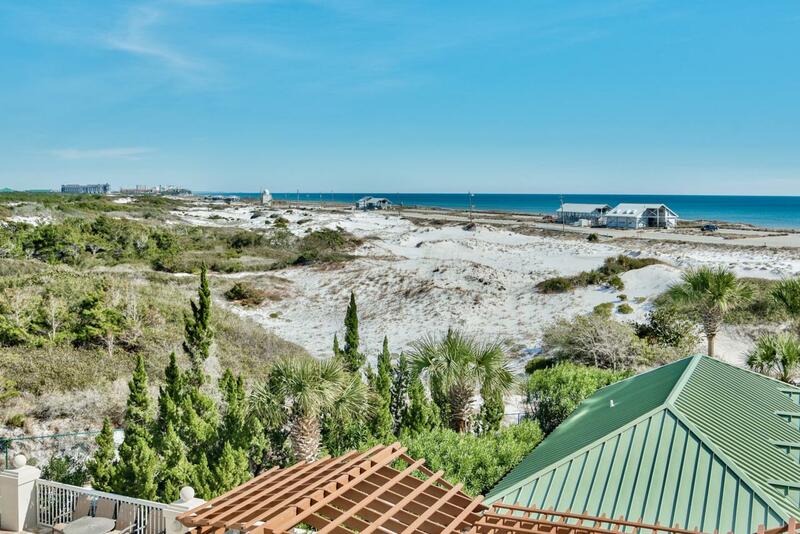 St. Barth is an immaculate beachfront condo with endless views of the beach, gulf and the beautiful white sand dunes of Henderson Beach State Park. 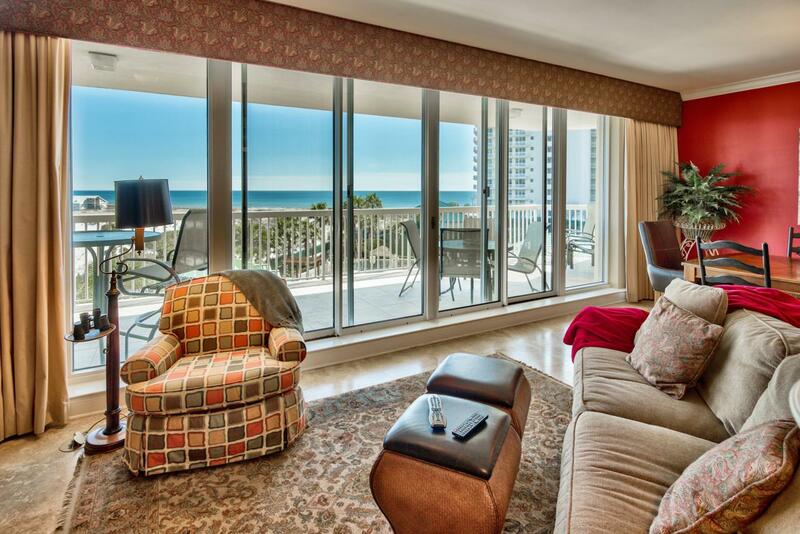 This 2 bedroom and 3 bath condo comes fully furnished. 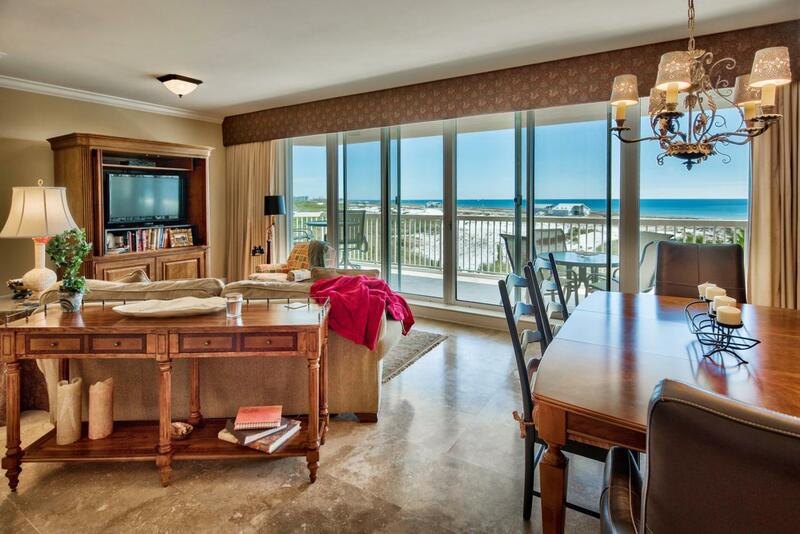 The open floor plans of the kitchen, dining and living area lend endless views of the Gulf. The master suite with it's own private access to the covered balcony comes with a large walk in closet, spacious bath with double vanities, large soaking tub and a walk in shower. 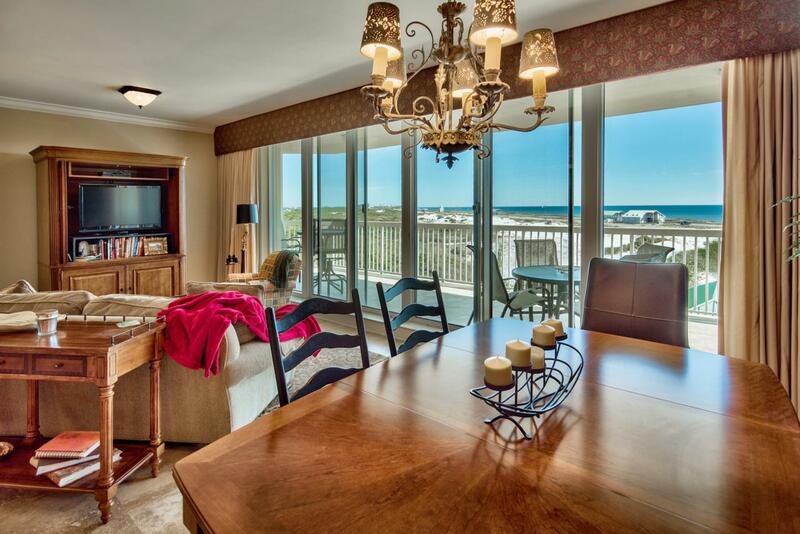 The guest suite has beautiful views of the beach and Henderson Beach State Park and access to the large covered balcony. A bath with a shower and tub and a large closet completes this private guest suite. The nice size laundry room has plenty of storage and a large sink.beautiful pools, tennis courts, fitness center, personalized beach service and a Ruth's Chris Steak House.